Your pension is actually a piggy bank. For planned events, like an early retirement. But also for unscheduled events such as dying and disability. Filling and emptying your piggy bank is subject to several tax and public laws. Different rules apply to the owner-director (Dutch: Directeur Groot Aandeelhouder, DGA), his employees, and self-employed professionals (Dutch: Zelfstandigen Zonder Personeel, ZZP’er). We would like to check out which of these rules apply to you. 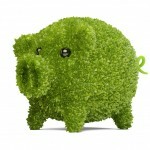 NSL helps you to make a plan for filling your piggy bank. We often do this together with your accountant. Your accountant knows best what you can afford now and in the nearby future. This is how we create the perfect piece of pension advice for you and your employees. NSL is short for “Nil sine labore”. Latin for “nothing is achieved without any effort”. Your money won’t accumulate on its own, but we believe that a good pension can be achieved by anyone who is willing to put some effort into it. 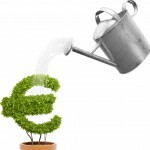 Together with your accountant we make a growth plan for your money. Once the seed has been planted, we take care of the annual maintenance so you can reap the fruits later. Providing independent and no-nonsense pension advice for every small business owner and his employees for a reasonable price. If you are a director or freelance, please click here for further information. If you are an employer, please click here for further information.